Are these cold temperatures wreaking havoc on your skin? We have a solution for you! A facial. And not just any facial, a hydrating facial. Packed with water-rich properties, a hydrating facial does an excellent job at restoring water content to your skin especially in cold climates like today. Winter air contains low humidity, meaning its carries little to no moisture. This can easily dry out the skin, causing your skin to become less radiant, less smooth and easily irritated. During cold climates, we are prone to turning up the heat to stay warm indoors; this also plays a role to our skin. Consistent heated air from your heating system picks up dust, pollen and other allergens that can irritate your skin, making it dry and itchy. Outdoors in the winter can be just as treacherous as indoors in the winter. This is why maintaining the moisture in your skin by devising a winter skin care regimen during the winter is crucial. What better way to do that than a hydrating facial every now and then! Here are the 8 benefits of a hydrating facial. Hurray! Your skin is hydrated and also bouncy to the touch! The properties in the products used in a hydrating facial bind moisture and locks it in the inner layer of the skin, preventing moisture loss throughout the day and night. This allows the skin to recover from the dryness and flakiness. The hydrating serum is what makes your skin appear brighter and more radiant. Serum is a treatment cream or oil high in nutrients and vitamins to make the skin healthy. Its advanced formula regulates moisture levels in the skin, maintaining a healthy balance of water content and improving water circulation within the skin. Now that you skin is hydrated, it no longer feels like sandpaper! An exfoliant, especially one with hydrating benefits, removes dead skin cells from the skin without stripping out the oil and moisture. Any bumps, dry patches and uneven skin tone are smoothed away! A hydrated skin is smooth and soft to the touch. A hydrating moisturizer helps to prevent water loss in the skin, giving you that baby bottom skin. It is always important to moisture your skin frequently even on days that you do not do a hydrating facial. This helps prolong the results of the facial. The steps of a hydrating facial from cleansing to protecting help reduce excess oil and shininess in general. Oil in your skin is what keeps your skin hydrated but too much oil can cause acne breakouts. Products used in a hydrating facial helps to control excess oil while still providing the optimal level of oil to make your skin look dewy and healthy. As mentioned above, a hydrating facial regulates oil content in the skin, preventing the production of excess oil. This means the likelihood of acne breakouts is reduced. Dryness causes itchiness and irritation. The skin can also become sensitive and redness appears. This is due to the flaking of the surface of the skin. When the skin is hydrated, the cell structure of the skin is regenerated, creating a new layer of skin from underneath which is full of water, nutrients and vitamins. This new layer of skin replaces the damaged layer of skin, consistently replenishing the skin as new layers of skin form. A toner does an excellent job at allowing better absorption of subsequent products in a hydrating facial, as well as any other facial. Toner allows the product to soak into the depths and pores of the skin, so the nutrients and vitamins can take its effect to provide hydration and protection. In the end, a healthy, hydrated skin can easily absorb any skin care product and maximize its benefits. 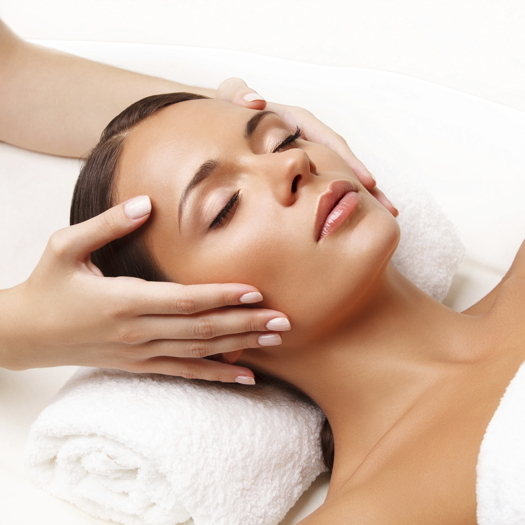 The benefits of a hydrating facial are not limited to only the ones mentioned above. Skin is different from person to person and what works for you might not work for someone else. It is also important to note a facial does not give you healthy and hydrated skin in a day. A series of treatment of 4-5 weeks is the best way to go! Take advantage of the benefits of a hydrating facial and get one now! Our 30-minute Express Hydrating Facial is now $68 (reg. $95) for the month of January (2018).